Olly's selfie signing. . Wallpaper and background images in the Olly Murs club tagged: photo right place right time special edition 2013 selfie signing hmv london. 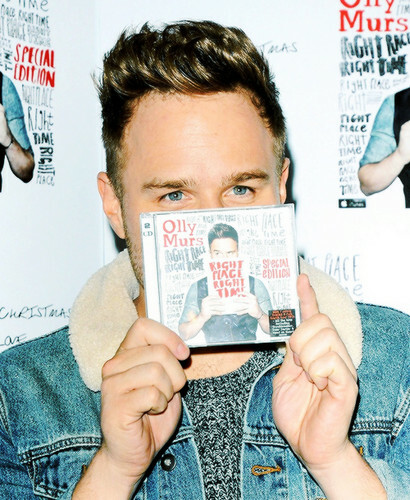 This Olly Murs photo contains gazeti, karatasi, magazine, tabloid, rag, jarida, tabloidi, and limemalizwa.